Nuremberg - Saturday evening’s action from the final round of matches in 2013 comes from the Grundig Stadion, where 1. 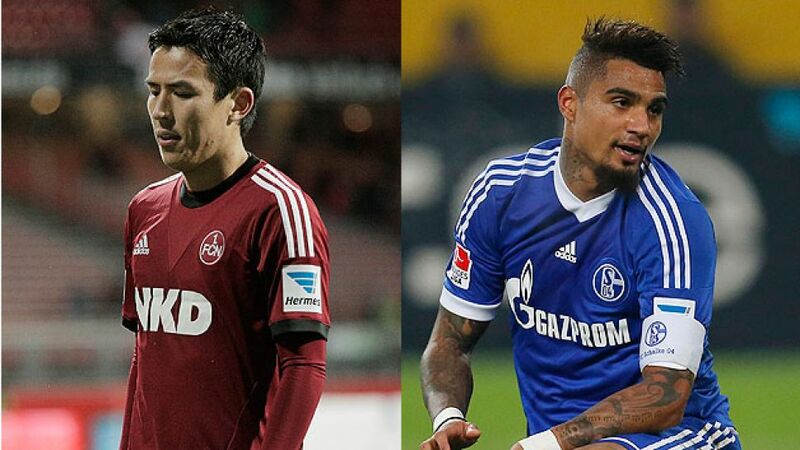 FC Nürnberg take on FC Schalke 04 (kick-off 17.30 CET). For Nürnberg the song fans may be singing could go something like, “All I want for Christmas are three badly needed points”. Incredibly, we are 16 games into the season and the Franconians are still yet to win - a Bundesliga record. Schalke are in altogether better form, although will be anxious to regain lost ground in the race for the top four. The situation is indeed becoming critical for der Club. Gertjan Verbeek’s men have just ten points on the board and are four adrift of the relative safety of 15th place. Should they fail to win against the team set to rub shoulders with Real Madrid CF in the UEFA Champions League in the New Year, FCN will become, and most likely be remembered as, the first side in Bundesliga history to go an entire first half of a season without tasting victory. Despite their league position, and the prospect of the aforementioned mouth-watering tie against Madrid next year, Gelsenkirchen has been a curiously unsatisfied place of late. The Royal Blues were beaten by Borussia Mönchengladbach - possibly their biggest rival for fourth spot and Champions League qualification - before they laboured to an uninspiring win over SC Freiburg on Matchday 19, although one that did see the long-awaited return of Kyriakos Papadopoulous. Before Saturday's encounter head coach Jens Keller called on the team to end the year in style. “We want to give this year a good send-off. It will be extremely hard work, but we’ll be doing everything we can to take the points home with us. Nürnberg haven't won yet, but recently they've been very unlucky not to do so." It is fitting that in the final week before festive celebrations begin, these two clubs, whose fans share a unique friendship, can witness their teams competing against one another. Nevertheless, ask anyone from either side - certainly the hosts - and they’re likely to prefer a victory over a catch-up with old friends. Nürnberg would do well to analyse the corresponding fixture last season, when Schalke dominated possession but ended up losing 3-0 after some expert counter-attacking from the Franconians. Japan international Hiroshi Kiyotake assisted two goals that day; how Verbeek could do with the diminutive attacker finding that type of form again.